I really need to get better dish naming conventions. I mean, how do you name a dish, make it sound good, and hint at the main ingredients all in one. 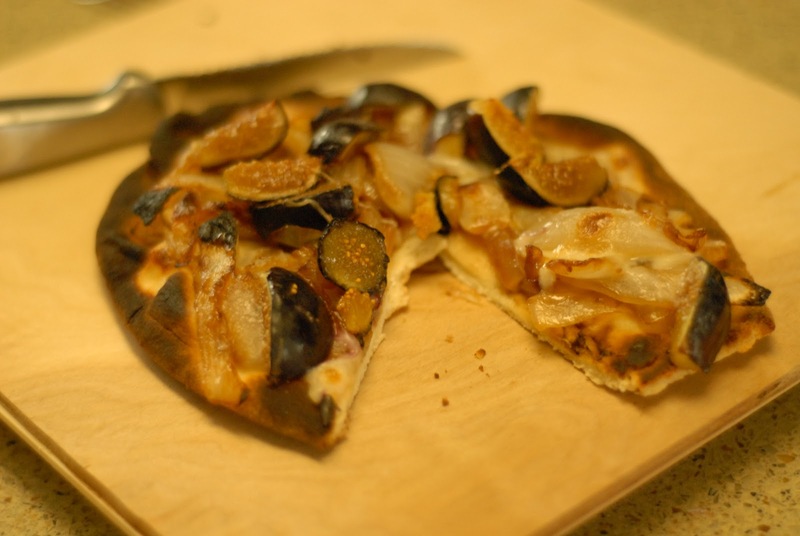 I mean this has caramelized onions, figs, goat cheese and flatbread which are all yummy, but “Caramelized Onion Goat Cheese and Fig Flatbread” just doesn’t have a great ring to it. Or maybe it does and I am just weird. I guess everything doesn’t have to be cute. I mean, what would you call a dish with those main ingredients?! I have to admit, this posts title makes me laugh because up until I was, oh, in my mid twenties I had no idea, really, exactly what a fig was. The only thing that mattered was that they were in those delicious Fig Newton cookies. 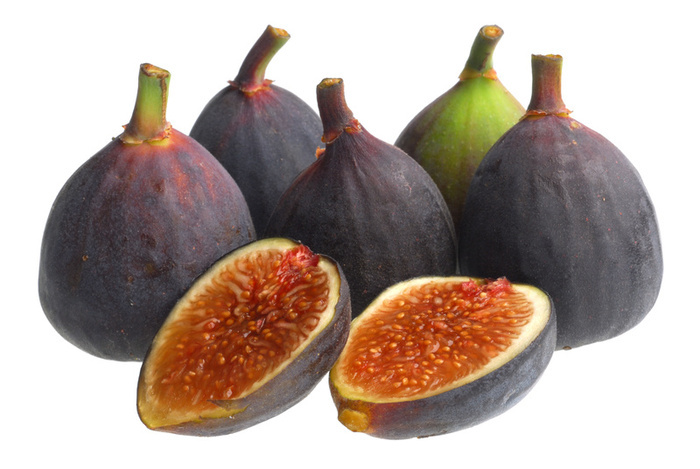 So imagine my surprise when I was navigating the grocery store and saw Strawberry-like containers with different variety’s of these seasonal fruits called Figs! I scooped up a pack of the purple figs to try! The texture weirded me out a bit at first. The outside is black and leathery, but the inside is subtely sweet, soft and seedy. After a couple though, I got used to it and really enjoyed them. I even gave one to my 18 month old and he LOVED them and ate inhaled about 4 before I decided it would be a good idea to stop him and move on to something else. He just took it and popped the whole thing in his mouth (minus the stem I took out for him). Melt butter in a saute pan over medium heat. Add sliced onions. Add salt and spray onions with olive oil. Cook onions over medium heat for about 10 minutes, stirring occasionally with a wooden spoon. If the pan gets too dry, just pour a little water in there. Sidenote: I like to caramelize this way because you don’t need to use a ton of butter/oil, but you still get the same effect. I have been doing it this way for quite a while, but never said anything because I thought people would think I was weird or “doing it wrong.” However, this months issue of Bon Appetite featured a restaurant called Rouge Tomate in Manhattan that uses this same method and boasts healthy, yet delicious food! Anyway, I digress. 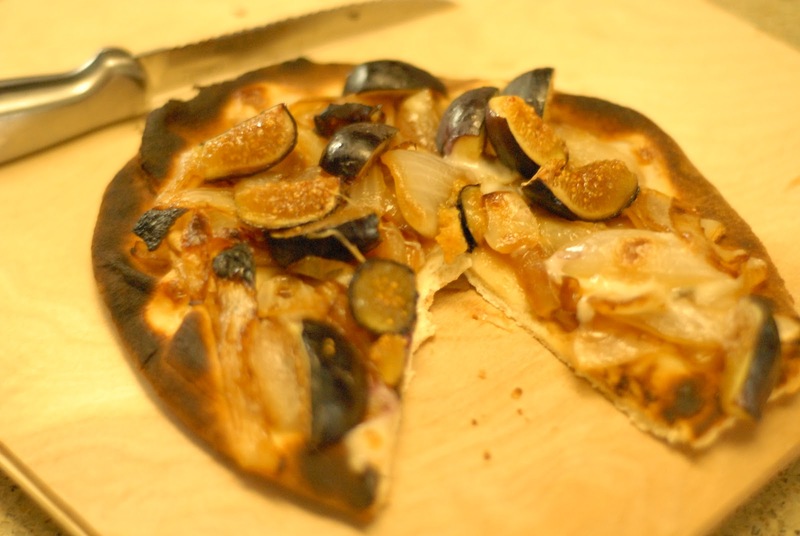 While the onions are caramelizing slice the figs into a mixed group of halves and quarters, lengthwise. When the onions are done caramelizing, spread them out over the flat bread. Sprinkle the figs on top and “plop” little chunks of goat cheese in the little nooks and crannies. Bake at 350* for 15 minutes. You could also broil it, but you really have to watch it to make sure it doesn’t burn!